There is no reason that you can’t generate thousands of dollars each month in your business. If you’re not, you are very likely missing out on very simple opportunities to attract new clients and generate revenue. 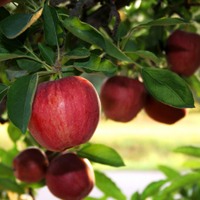 These low-hanging fruit opportunities don’t take a lot of money or a lot of time, and they’re right in front of you. Have you ever wondered what is preventing you from reaching your income goals? I hear this question often from small business and entrepreneurs, “I don’t understand why I’m not making more money.” And shortly after that comment there is such frustration and then overwhelm sets in…then self-doubt sets in, and then inevitably, the old pattern keeps showing up. The hard part about this self-defeating cycle is that often we don’t know that it is a pattern…or how to break out of self-doubt and overwhelm feeling. Here are ten ideas that will help you break out of financial frustration, overwhelm and self-doubt. 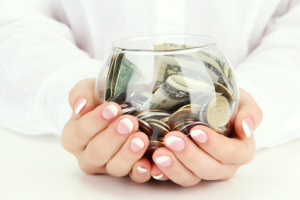 Try to come up with ten more ways of your own to break out of the Money Clutter Cycle….once you start to break free of this cycle, then you will create financial momentum and your income will start to look much better. 1. What bills are outstanding? Choose two bills each day that are “outstanding” or “late” and pay them…If you can’t pay them off entirely, then call the company and set up a payment plan. You will feel such freedom after doing this. 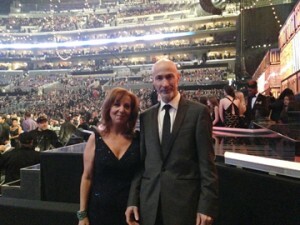 Here are my friends Lumari and Peter at the GRAMMYs in Los Angeles this year! How much fun it must be to go to this musical awards ceremony. And imagine all of the moving pieces involved in making this such a memorable experience, not only for Lumari and Peter, but for everyone who attended and the viewers watching at home, too. I’d like to take this “Experience of Celebration” and turn it into a case study in order to better understand some elements that may go into celebrating you and your business… and to leverage this Experience into a Marketing Strategy. Yes, this is how my mind works for me…and for you! Most recently, I gave a speech to the Los Angeles chapter of the National Association of Professional Women…a group of incredibly professional women who own their own businesses and doing wonderful things in the world. Since I kicked off the New Year, guess what they wanted to me to speak on? If you guessed New Year’s Resolutions, then you are correct! We all have made these resolutions over the years. Our resolutions were created by Jan 1 and usually broken by Jan. 15th. Why is that? What makes us so focused on creating new goals that are life-serving, such as losing weight, creating more personal time, changing careers…and the list goes on. These are all lovely resolutions or goals. So, what happens within those two weeks….or six weeks if you have a whole lot of willpower?